Saint Aloysius Catholic church history is bound up with the settling of the town of Buckley. It is not only a historical landmark but a place where the Catholic faith is alive and welcoming. If you have any history and or pictures of Saint Aloysius and would like to submit them or if you would like to add or correct some historical facts, please contact us. The history of the Saint Aloysius parish is bound up with the settling of the town of Buckley, by people of the Catholic faith. This community was originally designated as Perkins Prairie, apparently the name of some early settler in the area, who no longer can be identified. In 1884, the Northern Pacific Railroad built its mainline through the area. A siding was built at the location called White River Siding, and for a few years, this name was also applied to the community. In 1889, the name was changed to Buckley in honor of one of the railroad officials. One of the founding members of Saint Aloysius was the most prominent and best remembered Michael McHugh family. Among others of prominence in the early days of the community were Charles Harkins, George Greiner, John Ottoman and John Demise. While Rev. Wilfred Schoenberg, S.J., in his Catholic History, states that St. Aloysius Church was built at Buckley, Washington, this does not coincide with the memorized testimony of Mr. Charles McHugh. His testimony is that in the early years Mass was occasionally offered in a second story hall of a residence on Dundass Street, which belonged to the Frank DeMerse family. This building was destroyed in the fire that leveled much of Buckley in 1892. Father Charles DeDecker began visiting Buckley on a regular basis, offering Mass on the fifth Sunday of those months which had a fifth Sunday. Father DeDecker came to Buckley from the old St. George Indian School near Tacoma until the early part of 1891. Some of the people took their children to the Indian School to be baptized, among them the other children of the Michael McHugh family. Mr. McHugh reports that after the fire destroyed Buckley, Mass was said in an upstairs hall of a building on Mason Street, which was owned by a Joseph Compeau. In the spring of 1891, Father John P.V. Rohlinger, who had been appointed pastor at Puyallup, assumed the pastoral care of the Catholic people in Buckley. He performed the first recorded baptism in Buckley on Mary Burley, April 19, 1891. It is interesting to note that one of the sponsors was Joseph Compeau. At this time we note some regular ministrations and organized activity in Buckley which caused some thought of erecting a church. In the history of Saint Aloysius, there are some conflicting versions of how the site of the church was established. At any rate a deed dated November 30, 1890 exists which indicated that Alexander Wickersham and his wife, James Wickersham and his wife, and Nannie Wickersham, deeded property for the sum of one dollar to the Bishop of Nisqually, who at that time was Bishop Aegidius Junger, for the purpose of building a Catholic Church in Buckley. Who developed the plans of the building and who the architect was for the church is unknown. The fact is that construction was underway in 1892, apparently beginning sometime after the disastrous fire that destroyed much of Buckley that year. As it was, Mass was said in the church before the windows were installed. A photograph taken on June 23 shows the church and the congregation in a cut-over field. The building is easily recognizable, but significant changes have taken place. We may safely accept the claim of Charles McHugh that the present church is the first and only Catholic church built in Buckley. St. Aloysius's congregation in Buckley took the status of a mission to All Saint's Parish, Puyallup until 1910. Care of the people in Buckley was shifted to Sacred Heart Parish in Enumclaw, less than four miles away. There is debate on the year of the transfer because a letter from Father Aloysius Milnor, who established St. Barbara's in Black Diamond as a priest in 1911, states that he was in charge of Buckley. In view of the record this would seem to place the date of attachment two years earlier, but the connection is quite evident until 1916. In the course of these years, Mr. McHugh cites four visits by Bishop Edward O'Dea. The first three were to give Confirmation and a fourth to preside at the funeral of Mrs. Michael McHugh. This is fitting, since one of Mrs. McHugh's sons, Aloysius, became a priest for the then Diocese of Seattle. He is said to be the only priest who celebrated his first Mass in St. Aloysius Catholic Church. St. Aloysius church was attached to the recently formed St. Andrew's Parish in Sumner and Father B. F. Kornke ministered to the people of Buckley until 1033. He was succeeded by Father Michael Rosol who regularly served the church in Buckley until 1943 when ill health intervened. Father Adolph Badran, out of Enumclaw, was the temporary fill in priest. Father John Horan, presently retired and living at the Palisades in Federal Way, was assigned to St. Aloysius as its first resident pastor. St. Barbara's congregation in Black Diamond was attached as a mission. The Catholic people in Buckley reacted favorably to their new status. With the inspiration and care that a resident pastor can give, a good number of Catholics who had been lax became regular in the practice of the faith, and some who were lapsed returned and the size of the active congregation increased. A further increase was given by a moderate number of Catholic families who had moved to Buckley. A land is won for the church. Father John McLoughlin, a Maryknoll missionary, was assigned to St. Barbara's, he noted that Buckley showed some promise of development and would warrant a resident priest. He therefore arranged to purchase a residence across Naches Street from the church. Father Charles Crosse became pastor. He was immediately impressed with the growth and development of the parish and the community. A need for increased facilities was seen and it was decided that a CCD Center and Parish Hall should be built on land acquired some years earlier by Father Horan to accommodate the foreseen expansion. A fund raising effort conducted in the fall of 1963 brought in about $30,000 for construction. Construction of the parish hall and CCD Center was completed in March 1966 at a cost of $84,000. The center has proved worthwhile, particularly for conducting religious education classes and bringing together the parish and the community. A diamond jubilee is celebrated in 1966 with Rev. Father Charles Crosse. Rev. Jim Boyle became pastor (1972-1976).He presided over four tranquil years getting reacquainted with relative and friends. Historically, St. Aloysius had always ministered to the special people at Rainier School. Father felt drawn to this ministry and became the first full time chaplain at the school in 1976 at which time it was separated from St. Aloysius. Father George McLain served as pastor sometime between Father Boyle and Father Vanasse. Father Hervey L. Vanasse was assigned as pastor in 1976. His residency was not an idle, leisurely one. In collaboration with the Knights of Columbus and parishioners he was able to accomplish quite a few large projects for St. Aloysius. In 1982 the Knights of Columbus conducted a statewide campaign to raise funds to help move the St. Aloysius Church building. 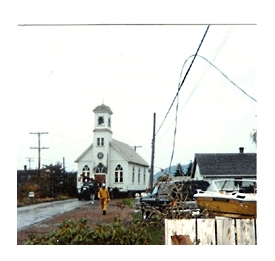 The St. Aloysius Church building was moved from the corner of Mason and Naches Street two blocks and located on ground next to the parish hall on October 21, 1982. The grounds were cleared and a baseball field and picnic grounds were installed. 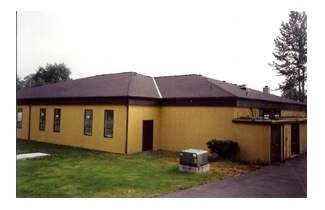 A parish office was added to the parish hall in 1983. A new pastor's residence was built in 1985 on the grounds next to the church. The steeple was restored to the tower of the church after many years of absence. An area for outside Mass was developed with a large raised cross. Stations of the Cross were placed on the church grounds. They were painted by parishioner Cliff Woods. The Parish hall was renovated (1989-1990) with a new gabled roof and included three new class rooms and a workshop. The total cost was $35,000. The parishioners of both churches contributed over $14,000 in a single fund drive. The remaining funds were used from savings. The classroom space was added to accommodate over 120 CCD students from both churches. At this time a Pastoral Council was established to assist Father in administration of both churches. 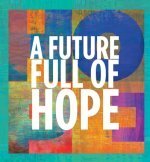 The past 10 years have been a time of great church, community and economic growth, trailing the growth of Boeing and the greater Seattle-Tacoma metropolitan areas. Both churches have seen great revitalization in terms of number of parishioners, financial support and commitment to improve. One hundred years later Fr. Hervey Vanasse leads St. Aloysius Parish in celebrating its centennial on Saturday, August 22, 1992 along with its Our Lady of Lourdes mission church two years earlier. Archbishop Thomas Murphy presided at the mass. The parishioners of both faith communities, mostly logger and farmers, are linked as a single community and chose as their centennial theme: "One in the Spirit". Members play together as much as they pray together, and like their monuments, the centennial events were celebrated on a grand scale for 3 days. Rooms at the parish hall were decorated with memorabilia and religious art collected from the loving rooms of parishioners. 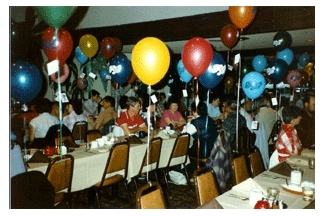 Monthly centennial events included picnics, fashion shows, a hoedown and disco dance. A bluegrass band made up of parishioners wrote a song. 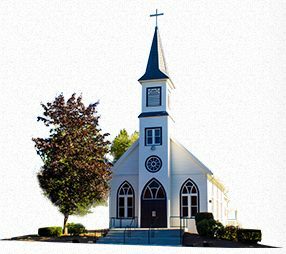 There are now 250 registered parishioners in the St. Aloysius Parish and 120 at Our Lady of Lourdes in Wilkeson. Over 100 children attend CCD classes regularly from both churches. Mass attendance is nearing capacity on Sundays and it exceeds capacity on major Holy Days. Church expansion is required. Nine years after the centennial celebration Fr. Vanasse died on Saturday, April 14, 2001, Easter Eve. His 25 years of priesthood were mostly spent in Buckley and Wilkeson.